We have a long history of selling our WAM-Vs in the research and development field. Our customers work on advanced autonomy, multi-domain maritime systems, defense and maritime security and marine infrastructure related applications. WAM-Vs have multiple configuration options including ROS or MOOS-IvP protocols for further development. Below is a small sampling of the various projects by our customers. WAM-V has been the platform of choice for the Maritime RobotX Challenge since its inception in 2014. 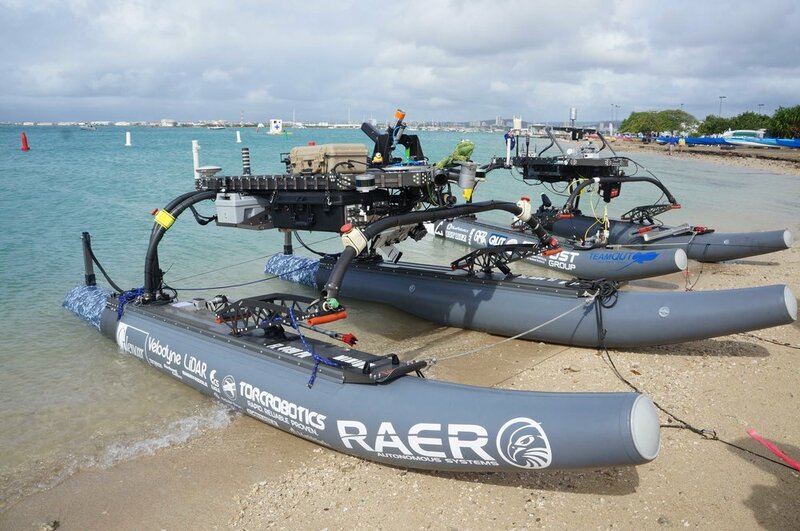 Held every 2 years, RobotX is the premier international student marine robotics competition. Teams from around the world compete on a variety of autonomous tasks. 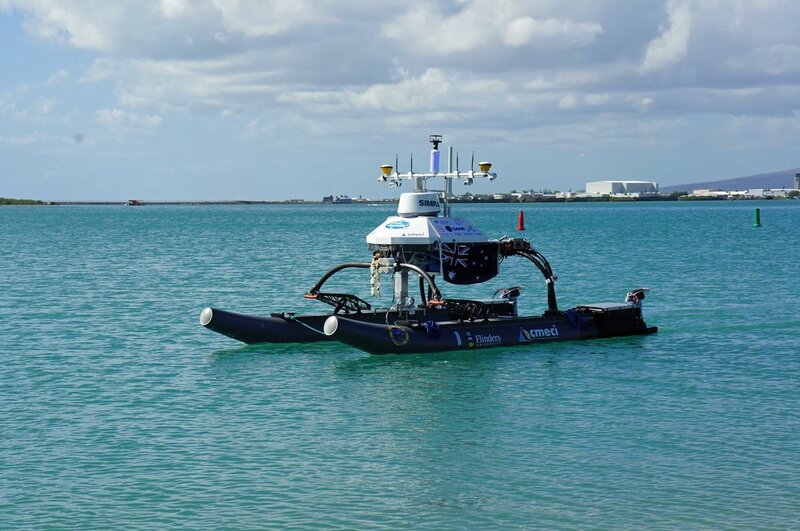 Team Tao, one of the finalists for the Shell Ocean Discovery XPrize, used their WAM-V 20 ASV to launch and recover their AUV (Autonomous Underwater Vehicel), called BEM (Bathypelagic Excursion Module), in the final round of the competition. 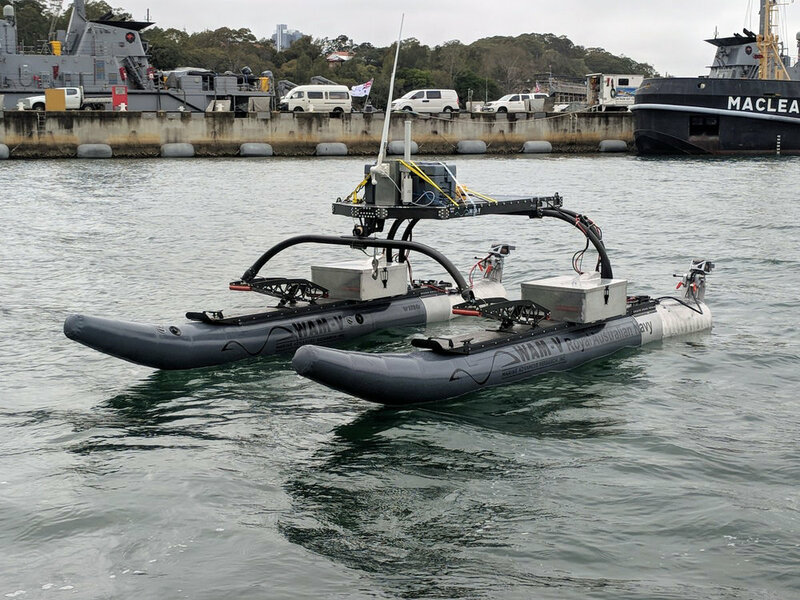 The Royal Australian Navy demonstrated their WAM-V 16 ASV at Autonomous Warrior 2018 in Jarvis Bay, Australia. 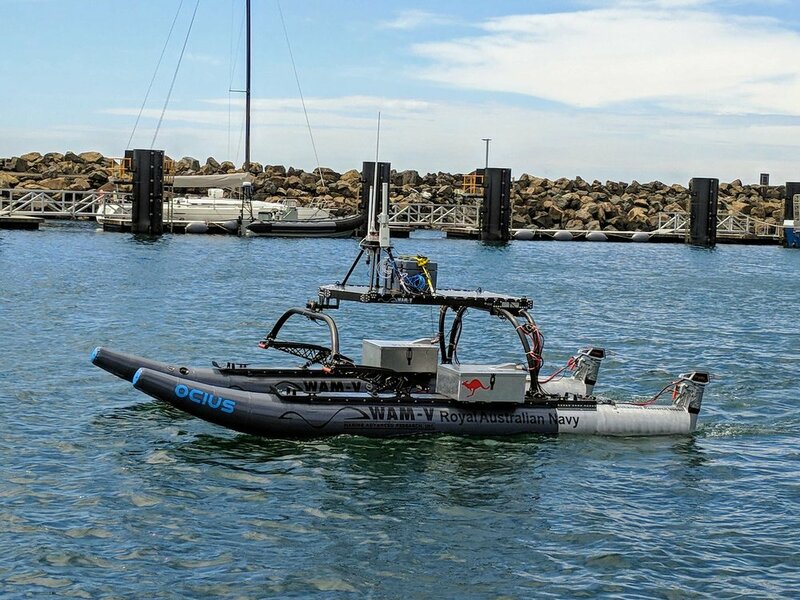 From their WAM-V 16 ASV (Autonomous Surface Vessel) they demonstrated autonomous AUV (Autonomous Underwater Vehicle) monitoring, AUV re-tasking, ASW (Anti-Submarine Warfare) dipping sonar deployment and machine learning based object avoidance to identify/track objects in its path to avoid. The Royal Australian Navy was the only defense participant in Autonomous Warrior 18. Future work includes MCM (Mine Counter Measure) operations and force protection. 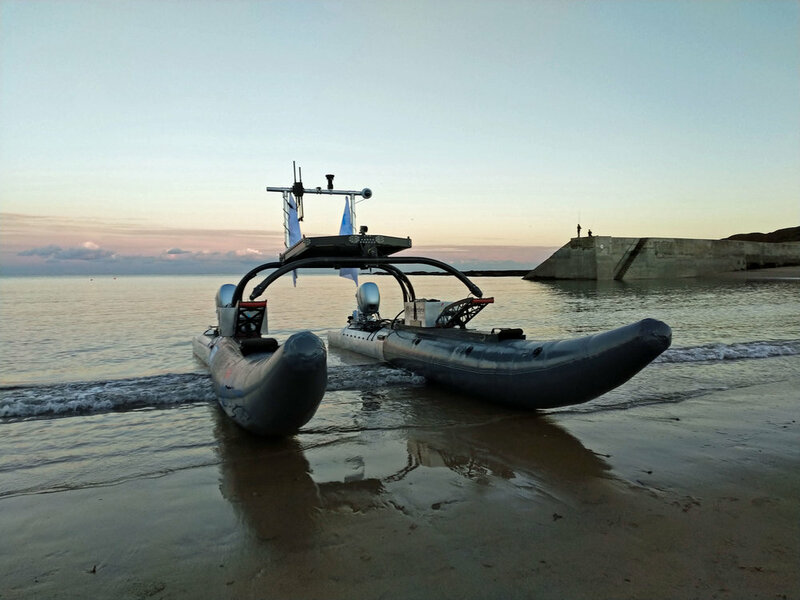 "The 16ft WAM-V is the ideal USV for our purposes, it is a modular and robust platform that can be deployed quickly and easily and relied upon to get the job done. Our platform is consistently used for training of Naval Officers and Sailors, testing new sensors and capabilities and building relationships with agencies across the world."